The Chinese Lunar New Year is fast approaching. Looking back over the past 12 months, is there anyone you would like to thank? A friend in time of need, a parent, a spouse? If you had to choose one gift to express your gratitude, what would it be? For that special person, Taiwan Panorama has selected three worthy “creative/cultural” brands. These enterprises are all based on traditional craftsmanship, and while preserving that indefinable warmth that comes with handmade products, have an element of innovation that transforms them from traditional into trendy. Traditional embroidery is done on a cloth background, and shoes are no exception. At first, ­Chiang says, she was merely thinking about making some changes in the patterns used in shoe embroidery, which is why she went to Nian. However, “the effect we got with my designs on cloth was not nearly as good as what I had imagined.” By the time they finished, she had a completely new inspiration: embroidery on leather. 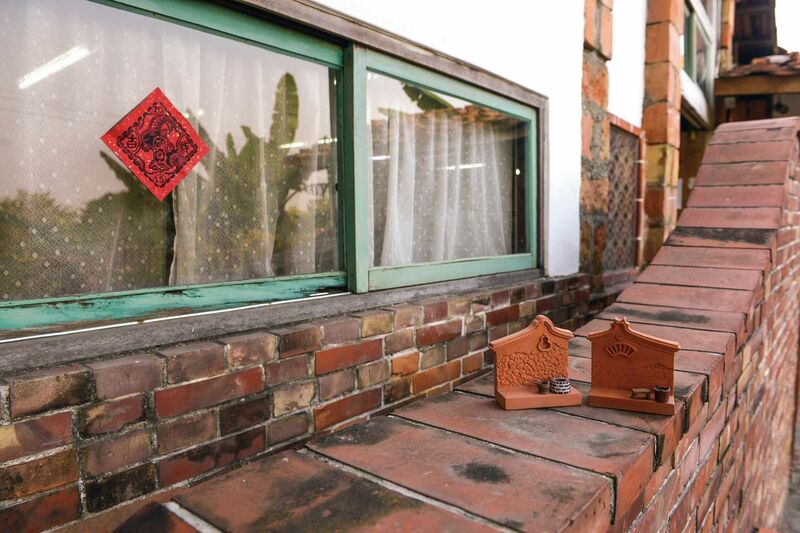 Chiang thus turned to a company in Tai­nan that produced handmade leather shoes to order, and after much trial and error, they finally succeeded in manifesting the beauty of embroidery on animal hide. 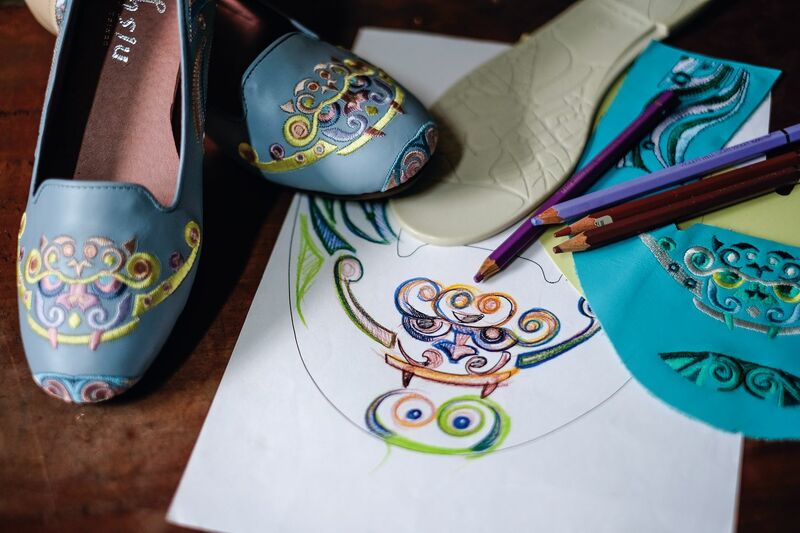 Each and every pair of embroidered shoes ­Chiang designs is made by hand by a master cobbler. More than 100 separate work steps are required, including shaping by hand on the last, hand sewing, hammering (to make the leather supple), and gluing. The result is that the leather fits together in exact conformity with the foot. What comfort! Chiang uses real leather, which is much more costly. Different types of animal hide—cattleskin, pigskin, goatskin—are used depending on the form of the shoe. She works and reworks every design, from vamp to insole to outsole, to ensure that all the footwear she makes is both beautiful to look at and comfortable to wear. Chiang’s designs have simple, clean lines or symbols rich with meaning. The inspiration for her first product came from the “Jian­shi” (Sword Lion) protective amulets that can be seen in Tai­nan’s An­ping District and which date back to the 17th century. 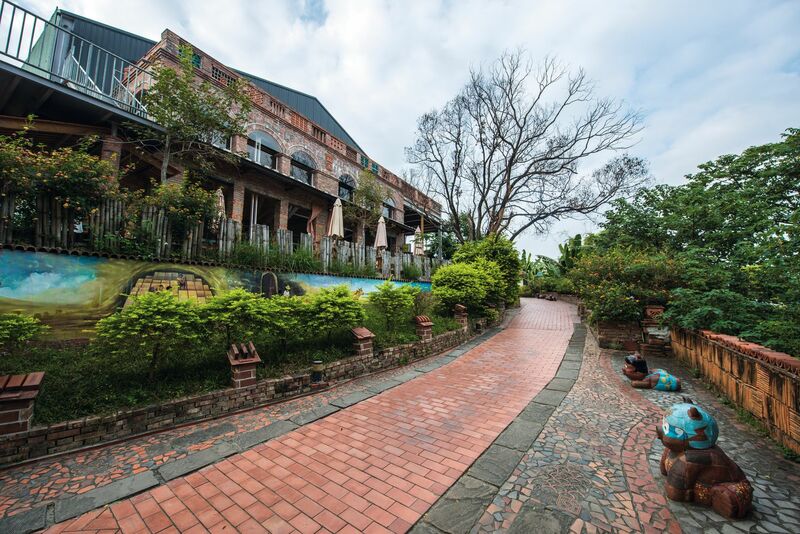 From Tainan we head south to the Da­shu District of Kao­hsiung City. 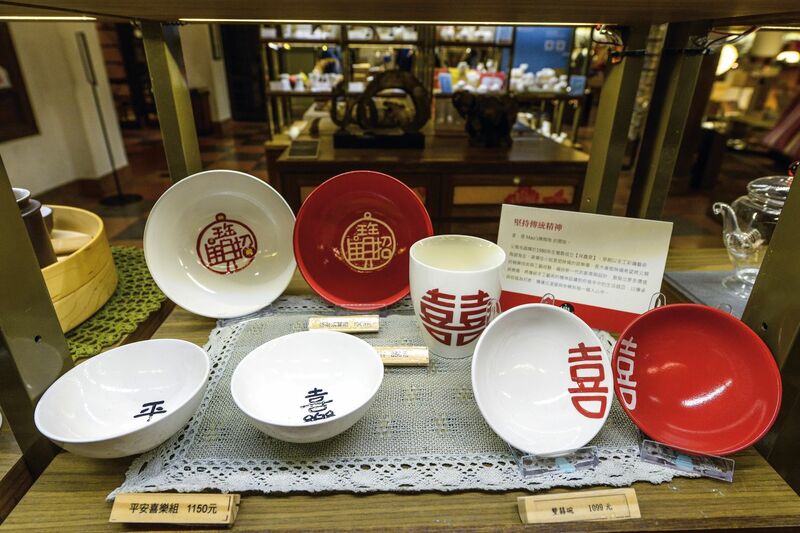 Da­shu once had more kilns than anywhere else in Taiwan, says Lin ­Zhaoru, who handles public relations at the San-He Tile Kiln. But with the social transformation of Taiwan in the 1970s, steel and concrete replaced brick and ceramic tiles as the main building materials, and by 1988 San-He was the sole remaining brick and tile kiln still operating in Dashu. Lee Yu-chu, the third-generation proprietor of San-He, repeatedly asked his grand-nephew Lee Chun-hung to take over for him, unwilling for this family enterprise to pass away with his generation. Chun-hung had always felt a strong attachment to the firm, resulting from memories of working at the kiln side by side with his father, who died young. Lee finally decided to quit his post at a bank and devote himself fully to managing the kiln. Lee’s major innovation was to shift from making building bricks to making handicrafts using “brick” as the material, an idea he got from the ceramic chopstick containers that his mother made as a hobby. 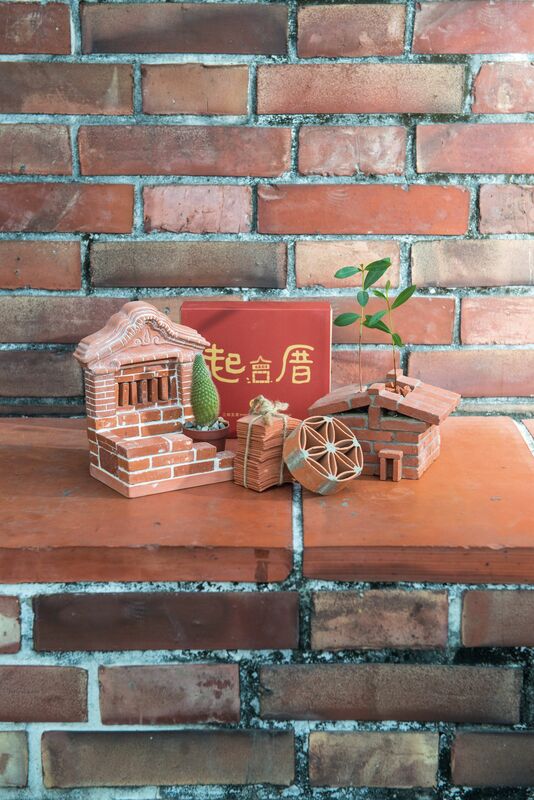 The first opportunity to change direction came when a group of students from the Arts and Crafts Department of the Tung Fang Design Institute came to him to cooperate in making a brick sculpture for their graduation project. Lee then got a grant from the community arts and crafts support program of the National Taiwan Craft Research and Development Institute, for the purpose of training people in shaping or carving clay in the pre-firing phase. He also asked students from Tung Fang to guide local residents, thereby formally launching a line of handicraft products. By the time the three-year government grant ran out, the products and sales channels had basically taken shape. 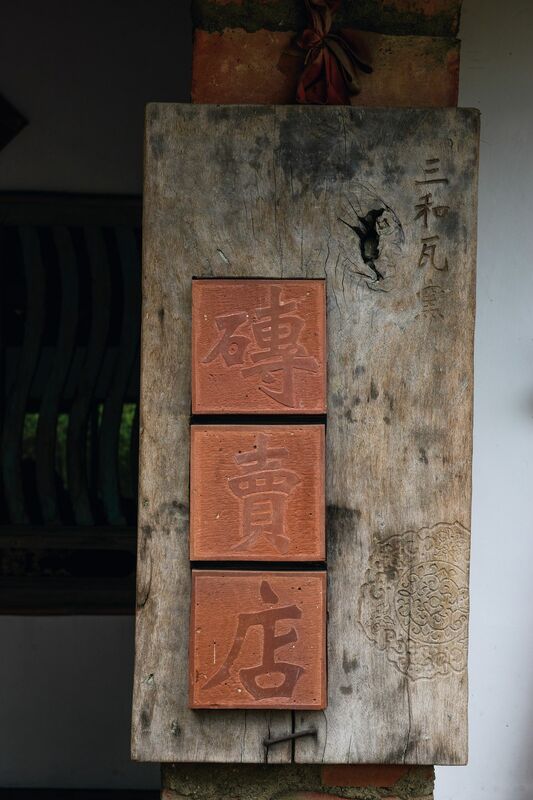 Lee decided to form a “cultural/creative” company and formally establish the brand “San-He Tile Kiln.” He has set aside space on the factory site as a display area. When you step inside, your eyes are struck first by the warm brick-red coloring, and the whole atmosphere is relaxing, like stepping into an old-fashioned room that is simply but tastefully decorated. Clay in its natural state contains iron, which emerges as a red coloring as a result of oxidation during the firing process. It also happens to be the color that is associated in Chinese culture with harmony and celebration. Red-brick objects for daily use (like soap dishes or coasters) therefore make popular gifts. “A lot of things have come together fortuitously to enable San-He to move into the field of cultural and creative products,” says Lin ­Zhaoru, not least of all being Lee Chun-hung’s determination to keep the family firm alive. San-He’s success offers the hope of a new dawn for this sunset industry. Our third cultural/creative enterprise also has survived as a result of a commitment to keeping the kiln fires burning in a family-owned ceramics firm. This time the town is ­Yingge, near Tai­pei, and the people behind the company are two sisters, Mao ­Chieh-­hsuan and Mao ­Hsuan-yuan. 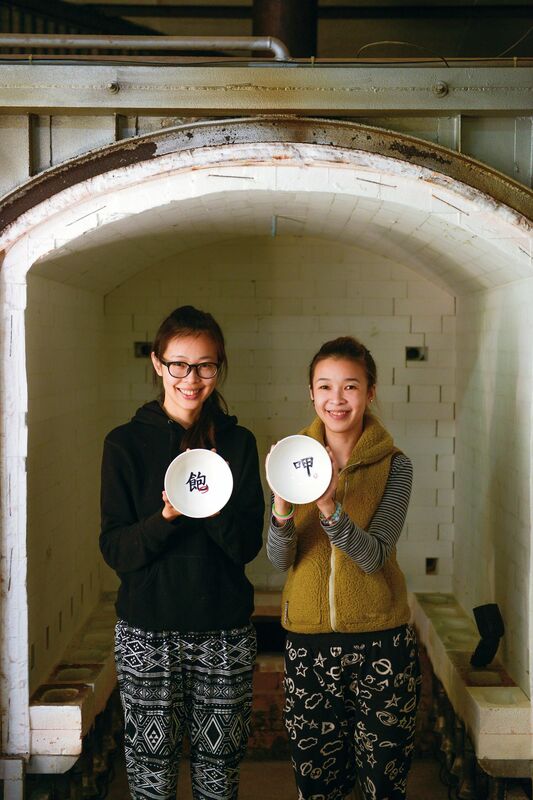 Their father is Mao ­Chang-hui, a famous ceramics artist from ­Yingge. Over three decades ago, he founded ­Hsiang Shin Ceramics, initially doing OEM work (with very low profit margins) in ceramics. In 1984 he branched out into ornamental ceramics, combining Western art (such as works by Monet) with traditional craftsmanship, thereby creating a boutique market niche. The first sister to go back home was the elder, Chieh-­hsuan, who didn’t want all her father’s hard work to disappear because he had no successor. Dad later insisted that the younger sister ­Hsuan-yuan, who had just gotten her degree in architectural design, also come back home. 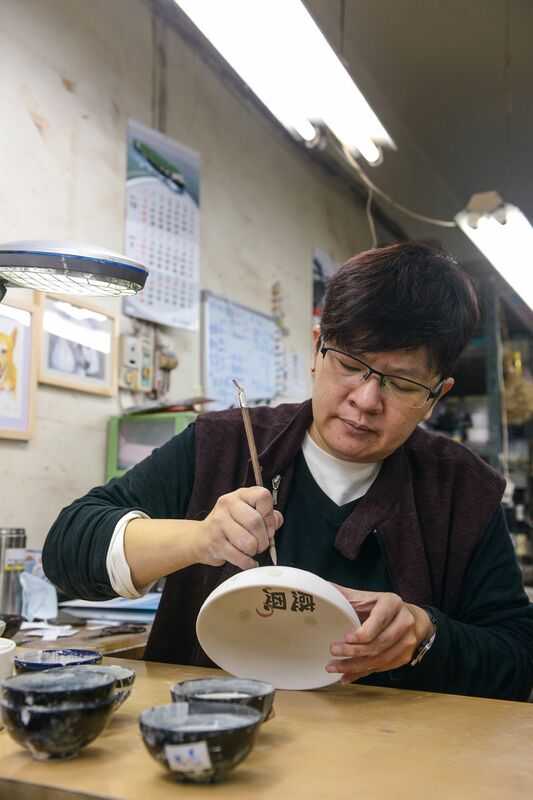 One time ­Hsuan-yuan handmade a simple bowl for her own use, and, just on an impulse, painted the character for “full” (or “satisfied”) at the bottom, then uploaded a picture on Facebook to share with her friends. To her surprise, people were dazzled, and some ordered items inscribed with specific characters to give as gifts. This gave the sisters an idea: Perhaps there was a market out there for custom-made ceramic products for daily use. The Mao sisters insist on doing the characters by hand, so even if the basic design of the bowls is the same, each piece is absolutely unique. And unlike cheap low-grade ceramics, which have heavy metals added to reduce the firing temperature and time, items made by Mao Studio are fired at 1230 ºC, to make sure that whatever metallic matter is in the glaze volatilizes so that the bowls are completely safe and non-toxic. These sisters have not only inherited their father’s knowledge and skills of firing and glazing accumulated over 30 years, they have inherited his commitment to excellence, and are determined never to sacrifice quality to commercial gain. By adding their own innovations, they have ensured that this kiln of 30-plus years will continue to burn brightly. All of the products we have described are modern enough to be hip but still carry the sense of personal warmth associated with the handmade. Which one do you think will make the best gift to express your gratitude to that “special someone”?